vote in favour of the older arrangement. Certain it is that protracted suspension from a hook is enough to ruin the " fit" of many a garment, and all manner of devices—such as patent "coat-hangers," etc.,—have been brought out to cope with the difficulty ; but none solves the problem more effectually than the old-fashioned drawer or sliding shelf. This, however, is not a question which need be threshed out here. 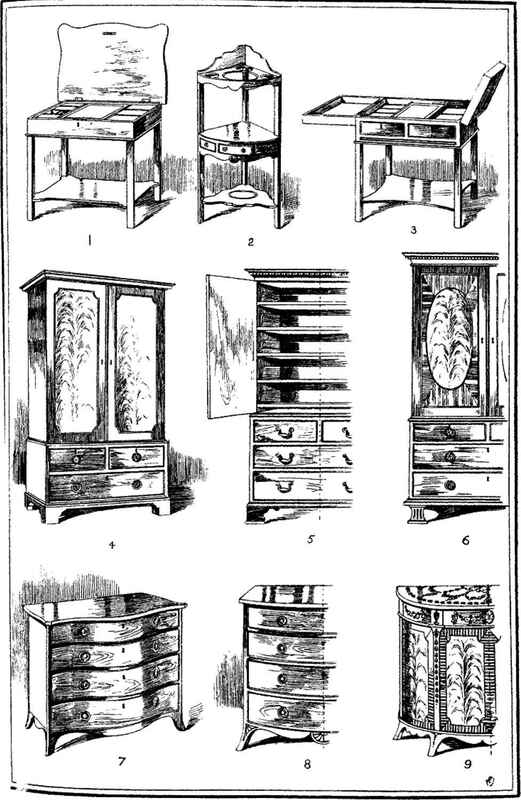 Figure 3 represents a lady's dressing-table, very similar in arrangement, though not in form, to one that appeared in Sheraton's book (see Fig. 3, Plate VII., in the next chapter), but who was actually responsible for the origination of the idea it is not easy to discover now. The hinged top, which is made in two sections, and encloses the whole of the interior appointments when closed, is so arranged that the two halves can be raised and swung right over, thus doubling the length of the top. This being done, a toilet-glass is revealed, which also is hinged at one end, and is capable of being adjusted to different convenient angles; on each side of this are small boxes for jewellery and accessories requisite to the toilet. The convenience of this piece of furniture, coupled with the small space it occupies, is so great that we cannot but wonder it has not been revived of late years, seeing that economy of space is such an all-important consideration in the planning of our homes. How heartily this little dressing-table would be welcomed in many a so-called " commodious flat" ! In Fig. 2 we have, by way of contrast, one of those handy little corner washstands of a type favoured equally by Heppelwhite and Sheraton (see also Fig. 9, Plate IX., "Sheraton"). Many of these have been preserved to the present day, and for compactness and convenience they are not to be surpassed. 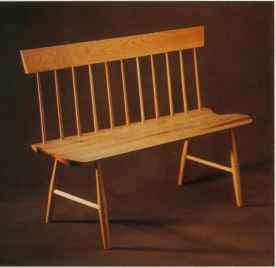 And after all, in spite of their extreme simplicity, they are by no means ungraceful.